Title: 44th annual exhibition by artists of Chicago and vicinity--The Art Institute of Chicago / Buczak. 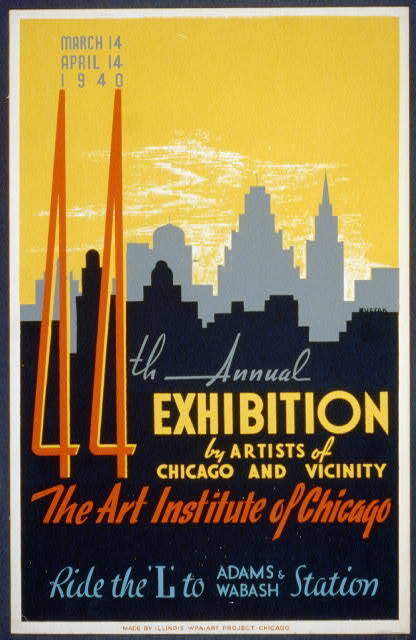 Summary: Poster for art exhibit at the Art Institute of Chicago showing city skyline in silhouette. 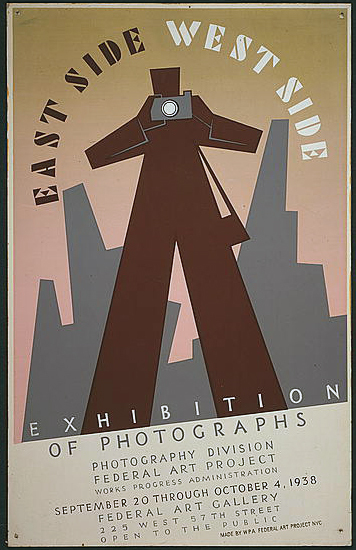 Title: Exhibition WPA Federal Art Project Index of American Design / / Milhous. Medium: 1 print on board (poster) : woodcut, color. 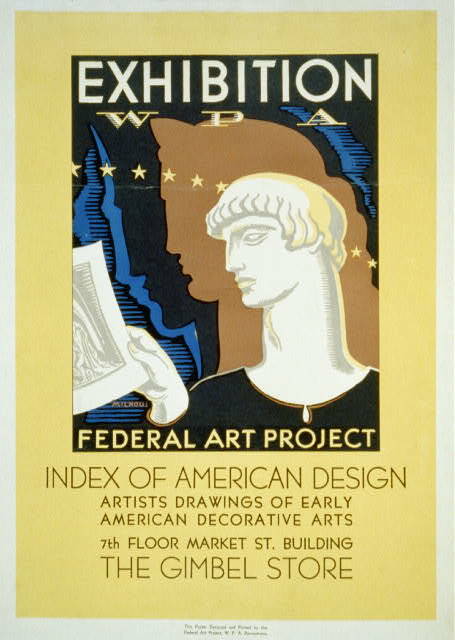 Summary: Poster for Federal Art Project exhibition of "Index of American Design" at The Gimbel Store, 7th floor, Market St. building, showing head-and-shoulders portrait of Greek figure holding print. Title: Posters and art processes Methods materials tools: Posters - graphic art fresco and sculpture. Date Created/Published: N.Y.C. 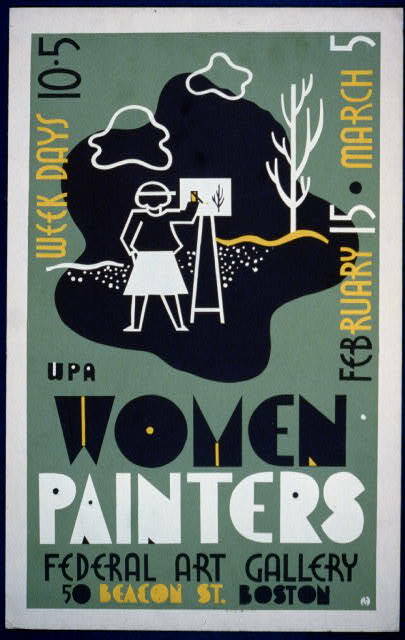 : WPA Federal Art Project, 1937. 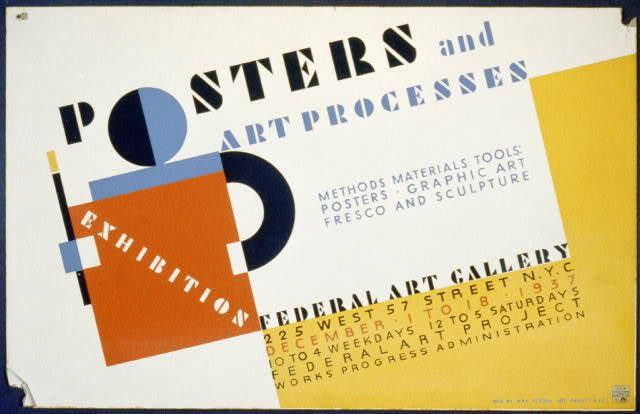 Summary: Poster for Federal Art Gallery exhibition showing abstract figure of artist. Date stamped on verso: Feb 9 1938. 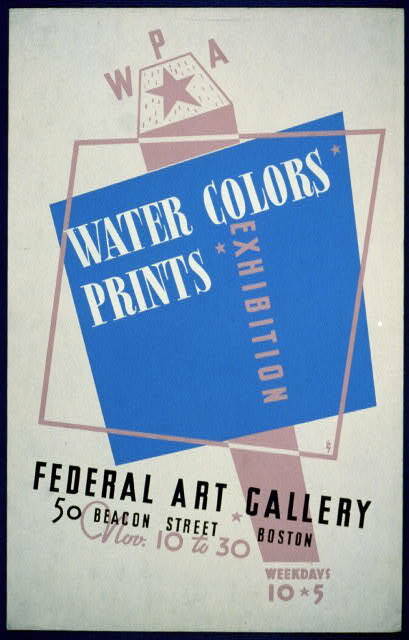 Title: WPA Federal Art Project exhibition, 77 Newbury St., Boston, Nov. 28, Dec. 10, 1938 / N.
Date Created/Published: [Boston, Mass. 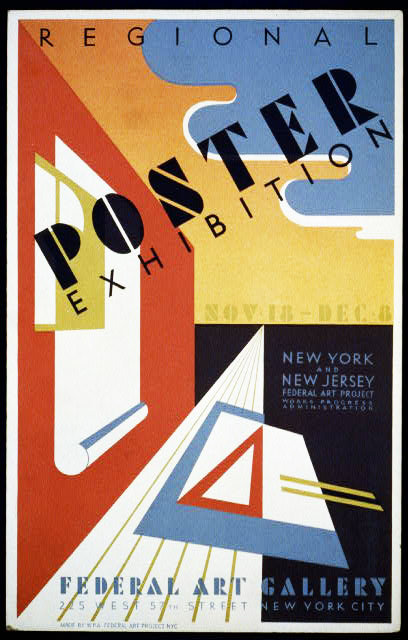 : Federal Art Project], 1938. 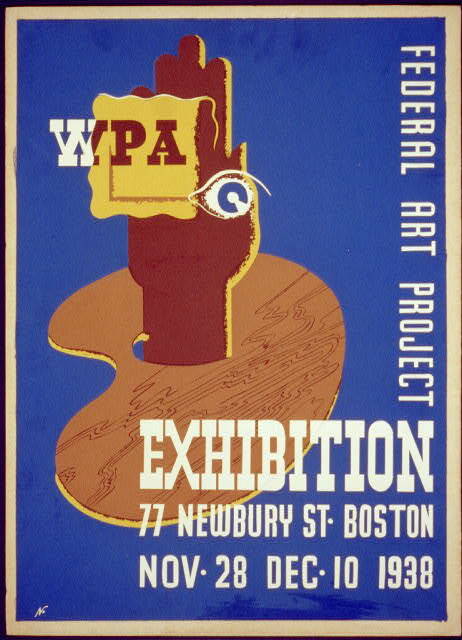 Summary: Poster announcing WPA exhibit at the Federal Art Gallery, 77 Newbury St., Boston, Mass., showing hand, eye, and palette. Promotional goal: U.S. K92. 1938. Date stamped on verso: Nov 25 1938.